Seven years later, Nurina is a third-year high-school student and a mother of three. Early and arranged marriages are common practice in Muslim culture in the Philippines where about 5 percent of the country’s 97 million inhabitants are Muslim. It is estimated that 80 percent of Filipino Muslims live on the southern island of Mindanao. Muslims have a different set of rules governing marriage, divorce, custody of children, among others. “Under Article 16 of the Muslim Code, the minimum marrying age is 15 for both males and females. However, upon petition of a male guardian, the Shari’a District Court may order the solemnization of the marriage of a female who has attained puberty though she is younger than 15, but not below 12,” Claire Padilla, executive director of EnGendeRights, a legal NGO working for the repeal of this provision, which it considers discriminatory, told IRIN. There is no accurate data of how many Muslim girls in Autonomous Region of Muslim Mindanao (ARMM) marry before the age of 18. Yasmin Bursan-Lao, founder and executive director of Nisa Ul-Haqq Fi Bangsamoro (Women for Justice in the Bangsamoro), an NGO advocating for women’s rights in the context of Islamic culture, attributes this to several factors. 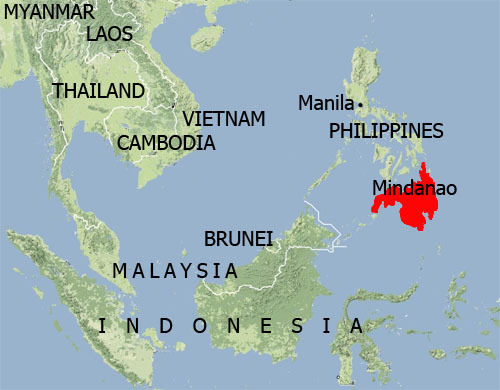 A map of the Philippines and surrounding countries highlighting Mindanao island. “Marriage registration is not a common practice, especially in far-flung areas. Many do not find the registration of marriages, births and deaths relevant unless they seek employment. 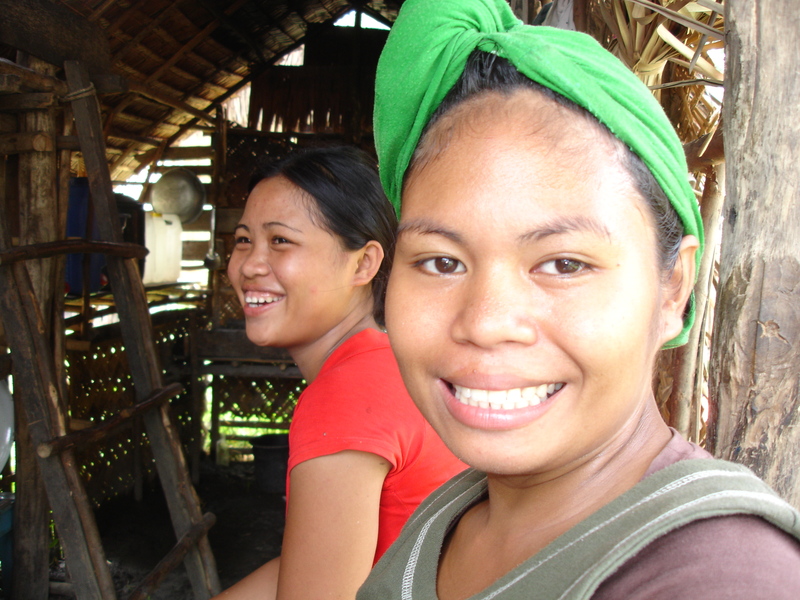 The process and costs entailed further discourage registration,” says Bursan-Lao, quoting findings in a research paper, Determinants and Impact of Early Marriage on Moro Women, by Nisa in March 2009. A total of 593 respondents from five provinces in ARMM, who were younger than 18 at marriage, were surveyed. The study shows that 83 percent were 15-17, while 17 percent were between nine and 14 years old. The ages of the respondents’ husbands ranged from 11-59 years, with 57 percent between 17 and 21 at the time of marriage. “Early marriage is not just a result of cultural practices. The Muslim Code allows it. Challenging the practice of early and arranged marriage needs evidence-based argumentation which we hope this research will address,” Bursan-Lao concluded. Religious beliefs ranked highest, with women saying early marriage was in accordance with their religion. This was followed by cultural reasons such as keeping family honour, and economic factors. A small proportion said they married for political reasons like settling or preventing family disputes, or forging political alliances, while others still report being "forced" into the arranged marriage by their parents. According to the 2008 National Health and Demographic Survey, the maternal mortality rate in ARMM is twice as high as the national average of 162 per 100,000 live births. ARMM has a high unmet need for family planning, with the lowest contraceptive prevalence rate for modern methods at 9.9 percent and traditional methods at 5.2 percent. On average, six out of 10 births take place at home under the supervision of a traditional birth attendant, but in ARMM, that figure is nine out of 10 births, the survey states. Elizabeth Samama, a provincial health officer in ARMM, said having children at a young age poses serious health risks. “The body of an adolescent girl is not fully developed. Her uterus and other reproductive organs are not mature or properly equipped to support the development of another human life. The ideal age for conceiving is between the age of 20 and 35,” she said. The Department of Social Welfare and Development estimates that 126,225 individuals are still living in evacuation centres since the outbreak of renewed fighting between the government and the Muslim separatist group, the Moro Islamic Liberation Front, in August 2008. “The combination of so much idle time in a close space like an evacuation centre makes the youth vulnerable to exploring relationships,” says Laisa Alamia, a programme manager for Nisa Ul-Haqq Fi. Pre-marital relations are forbidden in Muslim culture and to protect the girl’s chastity, she is forced into marriage. But Alamia also noted another factor. “In the evacuation centre, each family is entitled only to one food coupon for basic relief goods. Girls and boys are married off by their parents to create new families and qualify for more food coupons,” she said.